Anotger railway worker contacted me, told me he had something that I might be interested in, and he would trade it for a case of beer. It's an exact copy of my Skoda, also 115 kilo, solid tool steel, file hard top, going to hrc 50-55 ish in the foot. 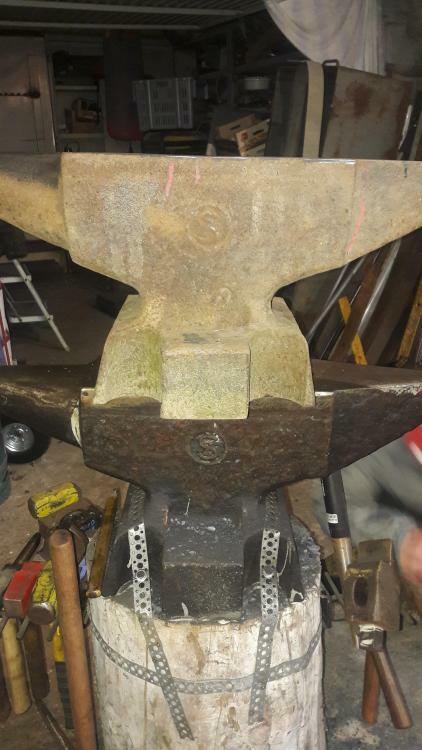 Finest I've struck, moves metal better than a 250 kilo anvil with a surface hard plate. Hardly any wear (dished about 2 mm), minor edge chips. I gave the dude two cases of beer and a knife to show my appreciation. My weekend is good, and I got pain in the back for lifting this in the car. Now that's a SWEET, beatable deal! 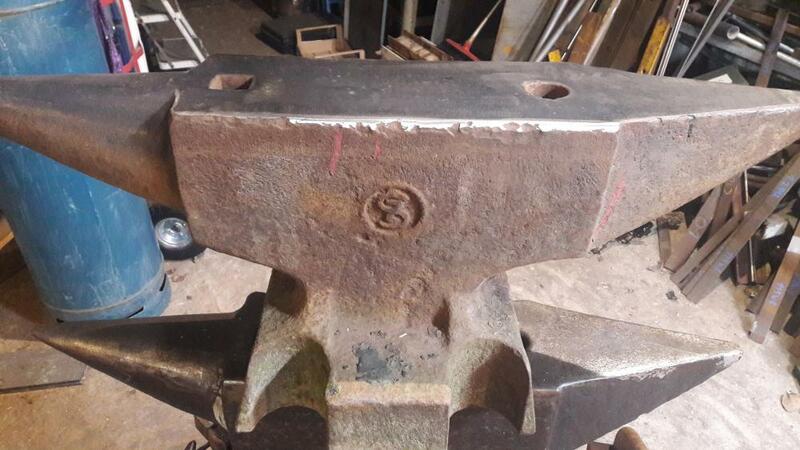 I've never struck a Skoda but I dearly LOVE my cast Swedish steel anvil. I'd love to try one of those. Might even come to love a double bic. OMG Bart. You are one lucky dog. Nice anvil, you can fit one higher and one lower for different jobs. That's close enough if YOU feel it is. I suppose different degrees might mean different shades and tones. Were I sick with envy it'd use canned pea green, maybe with speckles. Well: I'll be honest, I didn't see this one coming either; and I already considered myself lucky in the anvils department. If any of you guys come to belgium, we can hammer some stuff together, so you can try it yourself. 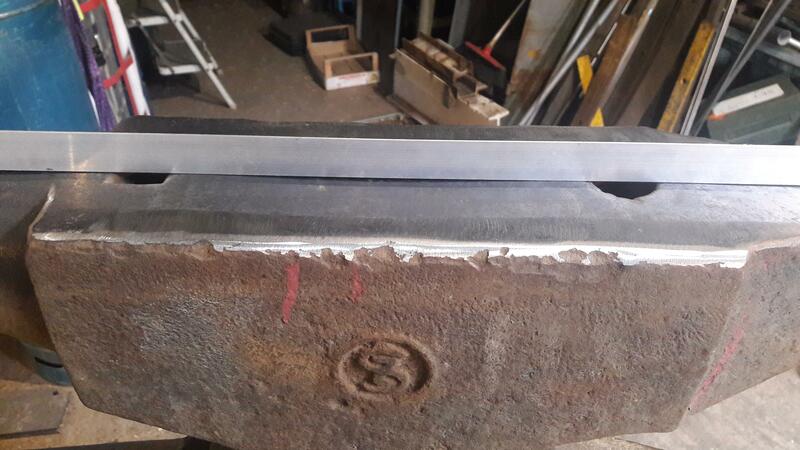 From what the guy at skoda foundry works told me they were cast from battle-ship-gun-barrel-steel. 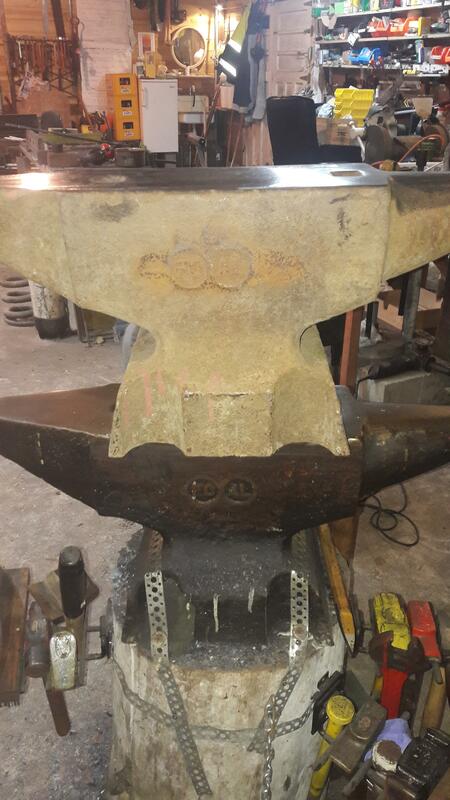 All I can tell you is they move steel better than a 250 kilo steel faced anvil. They do have big holes (the square is 30 x 30 mm, the round is 25 mm) and no pritchel hole. Now I do have a question however, but how much would they be worth these days? I know the new Refflinghaus go for about 2000 $, and I've yet to see a second hand Refflinghaus. just FYI, I'm not planning on selling either. Congrats for sure.. Anvil envy you bet..
As for cost or price.. Not sure.. Never heard of the brand.. What about historically about the anvils.. 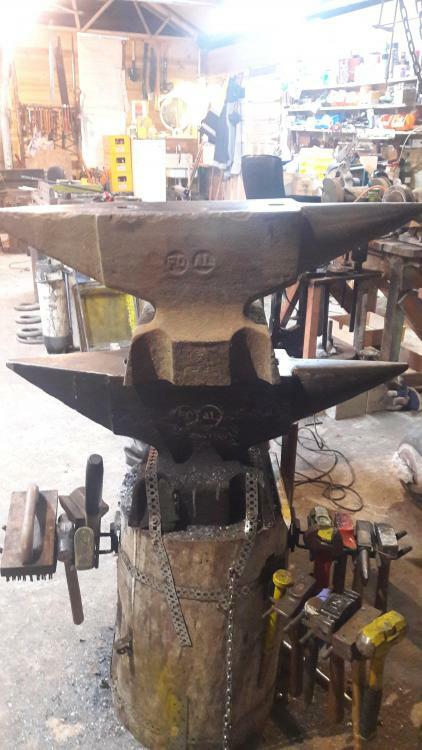 Were they an anvil manufacturer? were these anvils just made for in shop use with only a couple made.. etc, etc..
someone who has lots of money the price might be very high vs someone who has no money.. Value is subject to so much with anvils as well as many other things.. Question becomes 'What do you think they are worth" and with this information others can say whether they are worth more or less.. 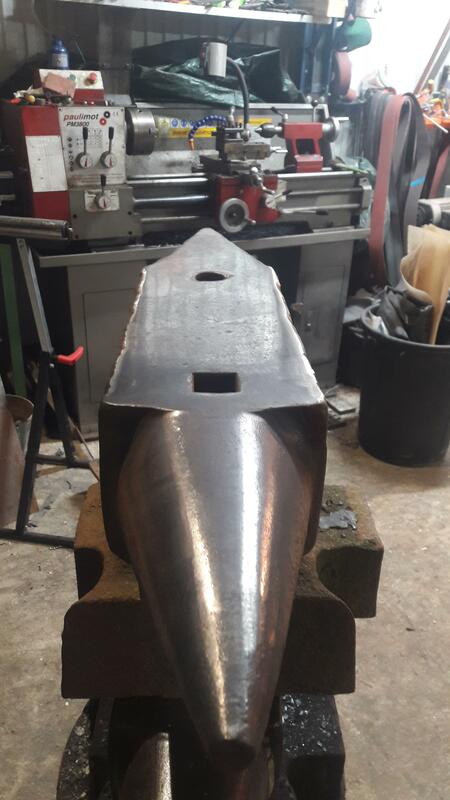 There is a guy who sells European anvils can't think of the website, but his prices might reflect what you are asking as well.. Hefty prices indeed, lowest is around 1500$. 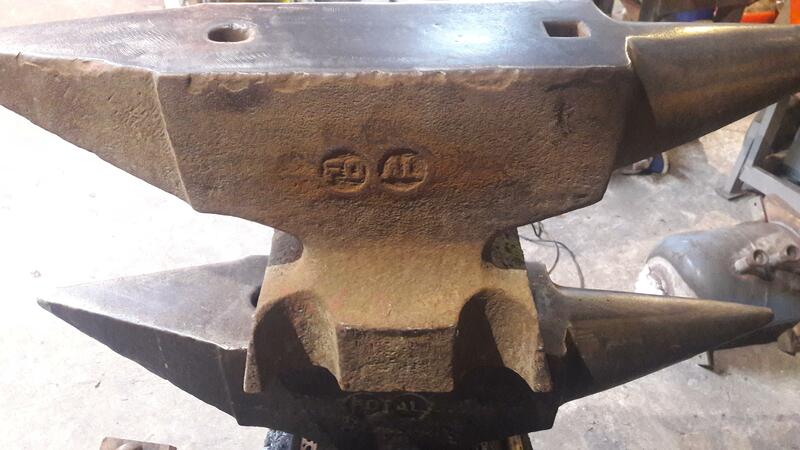 Anvils for sale - i know the guy. Generally he wants $5 a pound for his anvils. He imports them from Europe obviously. Has relatives that buy them for him around Germany and other locations. 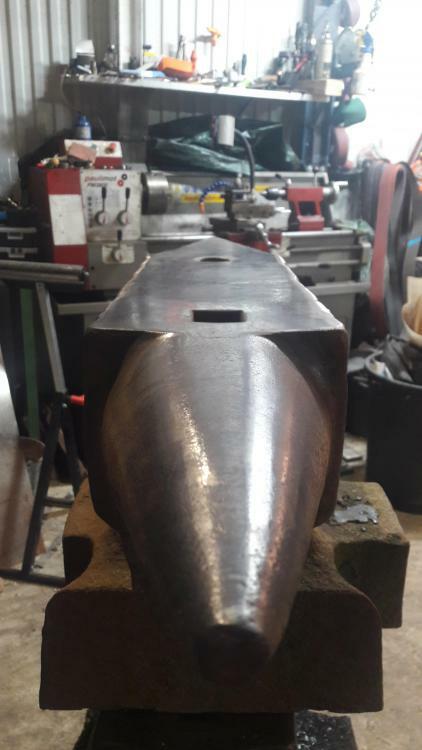 He does have some nice anvils, but they come with a high price.